IH-PART-MANL-V5 Dodge Viper SRT & GTS 2013-14 Factory format Parts Manual in Book Format. 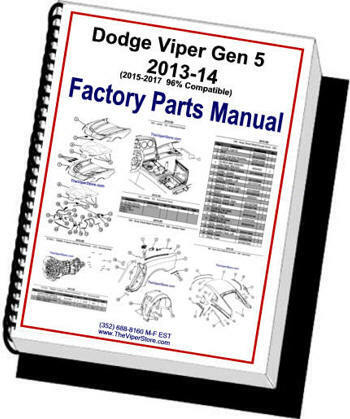 Factory format Parts Manual for 2013-2014 Dodge Viper. This manual is 96% compatible with 2015-2017 Vipers as well. Complete detailed blow-up diagrams and factory part numbers included. Nearly 300 pages on bond paper spiral bond. 8.5" x 11.0" format, spiral bound with color cover. If you own a Gen 5 Viper you need this invaluable tool. 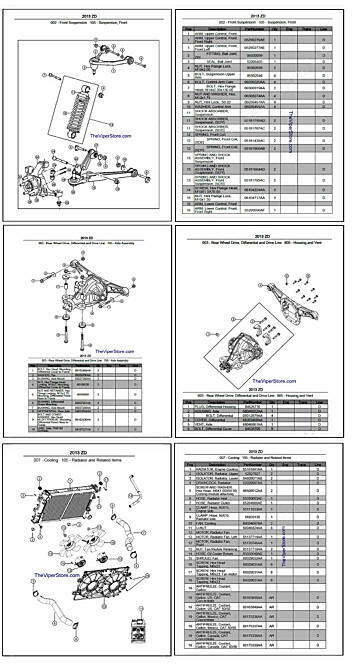 IH-PART-MANL-V5-15 Dodge Viper SRT & GTS 2015-17 Factory format Parts Manual in Book Format. Factory format Parts Manual for 2015-2017 Dodge Viper. 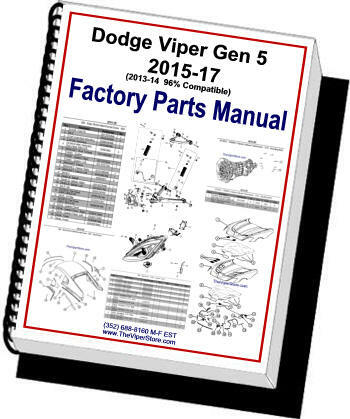 This manual is 96% compatible with 2013-2014 Vipers as well. Complete detailed blow-up diagrams and factory part numbers included. Nearly 320 pages on bond paper spiral bond.